We have created a set of tools to help students, and the parents and teachers supporting them, to set themselves up for success after GCSEs and beyond. EXPLORE is a fun and engaging learning tool to help young people see where their subjects could take them in the future. PLAN is a developmental and reflective tool to help teachers and young people understand all the options for study after GCSE. FIND is a one stop shop for young people to access all the information they need to select the best college or sixth form for them. Why use Skills Route in your classroom? Skills Route has been designed with teachers to solve teacher’s challenges. We help you provide impartial, tailored advice and guidance so that your students are set up for success. 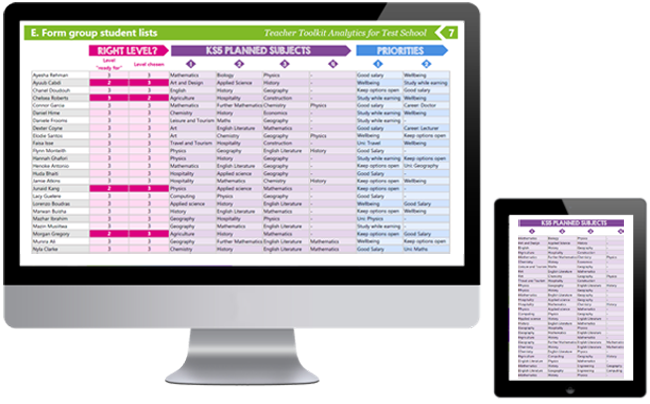 We provide tailored data for each individual student so that they can see all the options available to them. 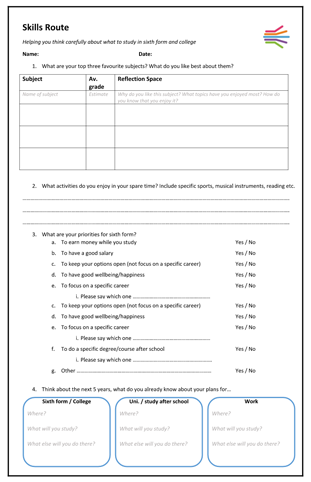 Provide impartial advice and guidance that is tailored for individual students. Seamlessly submit your intended destinations data. Use the insights that Skills Route generates to target and tailor your 1:1 support and interventions. Provide careers information, advice, guidance and activities that reflect the interests and priorities of your students year by year. We have created three levels of support to help you make the most of Skills Route in your classroom. We help you set your students up for success after their GCSEs and beyond. For a small fee, we will set all your students up with a Skills Route account and introduce you to our resources so you can make the most of the tools. 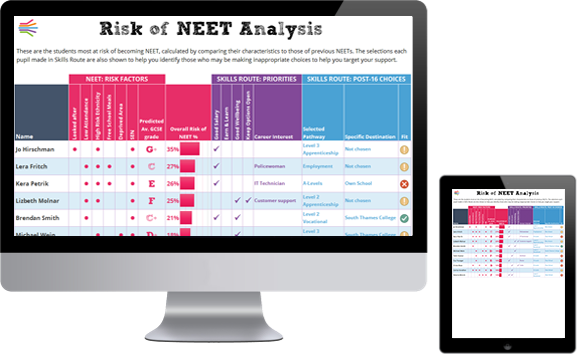 We will provide you with graphical analysis of your students’ use of Skills Route on a class, year group and school level. Our silver package provides user accounts for all your students, access to all our tools and graphical analysis at summary level. 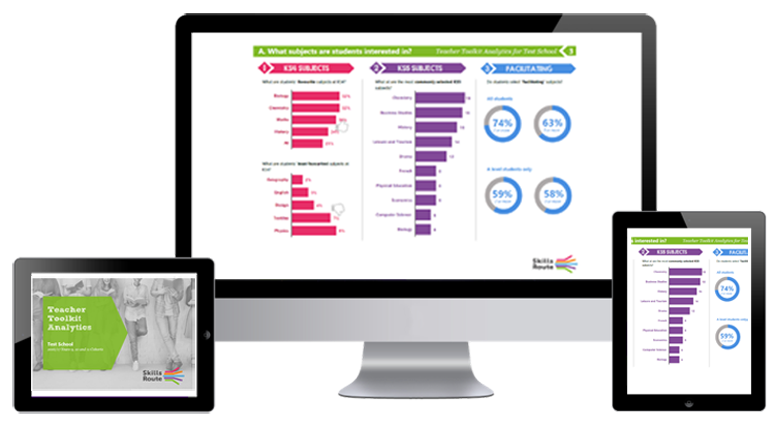 In addition, you will get a breakdown of you individual students’ responses on Skills Route. With the gold package, you will receive all the benefits of silver and bronze plus a report highlighting individual students at greatest risk of becoming NEET and support with your intended destinations submission. This supports our careers advisers and classroom tutors to have greater impact with individual students and focus on providing tailored advice. It’s such a great system, it will be really useful for my mentoring conversations when I can work through the process 1:1 with the kids.